It's ready for anything!!!! Come and get it! All the right toys!!! This gas-saving Sedan will get you where you need to go!! Other features include: Bluetooth, Power locks, Power windows, Manual Transmission, Turbo... For more information on this or any other Burlington VW vehicle go to www.burlingtonvw.com. This is the perfect, do-it-all car that is guaranteed to amaze you with its versatility*** Gets Great Gas Mileage: 40 MPG Hwy. New Arrival.. Stunning! Other features include: Bluetooth, Power locks, Power windows, Manual Transmission, Turbo... For more information on this or any other Burlington VW vehicle go to www.burlingtonvw.com. All the right toys!!! Just Arrived... Take a road, any road. Now add this Sedan and watch how that road begins to look like a racetrack.. SAVE AT THE PUMP!!! 40 MPG Hwy!! 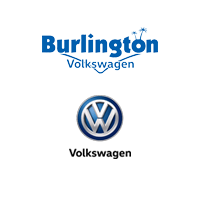 Optional equipment includes: Driver Assistance Package, Monster Mats w/Logo Rubber Mats Kit (Set of 4), Bumperdillo Protection Plate for Rear Bumper... For more information on this or any other Burlington VW vehicle go to www.burlingtonvw.com. All the right toys!! Volkswagen FEVER... New Arrival** Gassss saverrrr!!! 40 MPG Hwy... Optional equipment includes: Cold Weather Package, Monster Mats w/Logo Rubber Mats Kit (Set of 4), Combination Assistance Kit... For more information on this or any other Burlington VW vehicle go to www.burlingtonvw.com. Isn't it time you got rid of that old rattletrap and got behind the wheel of this great Vehicle. One of the best things about this Sedan is something you can't see, but you'll be thankful for it every time you pull up to the pump! Classy!! Other features include: Bluetooth, Power locks, Power windows, Heated seats, Sunroof... For more information on this or any other Burlington VW vehicle go to www.burlingtonvw.com. Priced to Move - $780 below MSRP.. Real gas sipper!!! 40 MPG Hwy. All the right ingredients! This amazing Volkswagen is one of the most sought after vehicles on the market because it NEVER lets owners down... Optional equipment includes: First Aid Kit... For more information on this or any other Burlington VW vehicle go to www.burlingtonvw.com. Priced below MSRP!!! This reliable 2019 Volkswagen Jetta 1.4T R-Line is available at just the right price, for just the right person - YOU... They say All roads lead to Rome, but who cares which one you take when you are having this much fun behind the wheel*** Real gas sipper!!! 40 MPG Hwy* Here it is! Optional equipment includes: Monster Mats w/Logo Rubber Mats Kit (Set of 4), Roadside Assistance Kit, First Aid Kit... For more information on this or any other Burlington VW vehicle go to www.burlingtonvw.com. Gassss saverrrr!!! 40 MPG Hwy! $838 below MSRP** This car sparkles! Do you want it all? Well, with this impressive Jetta, you are going to get it... Optional equipment includes: First Aid Kit... For more information on this or any other Burlington VW vehicle go to www.burlingtonvw.com. All Around gem!!! This gas-saving 1.4T SEL will get you where you need to go** Blow out pricing!!! Priced below MSRP... Climb into this reputable Jetta and experience the kind of driving excitment that keeps you smiling all the way home!! Optional equipment includes: First Aid Kit... For more information on this or any other Burlington VW vehicle go to www.burlingtonvw.com.